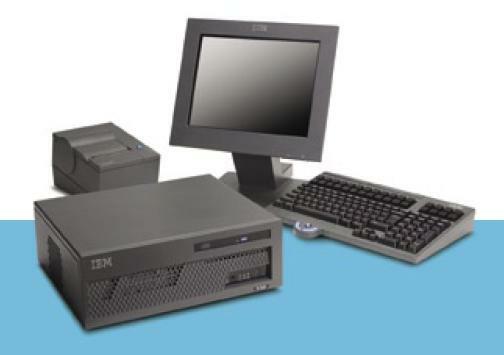 The IBM SurePOS 300 Series Model 330 has PC technology with plenty of ports for POS peripherals and a wide range of configuration options. This is the thin client model and does not include storage media. Model 330 includes 256 MB of DDR memory, 10/100 Ethernet, SVGA, 1 24V USB, 2 12VUSB, 2 PC USB ports, 2 RS232 ports, 4 powered RS232 ports, cash drawer, PC keyboard and mouse ports, parallel port, and AC97 Audio. Features are available to upgrade the system memory or provide retail peripherals. Plus, there is now a feature available for an internal CD-ROM.